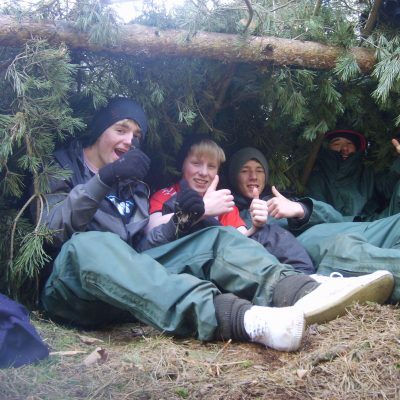 Bush-craft skills can be taught as a stand alone activity or as part of a day out, often combined with a canoe journey. The activity is really diverse and can range from boiling some water to make a brew to spending the night out in the wild, cooking and sleeping under the stars. This can range from a half hour brew stop in the canoes to an overnight event. If you’re old enough to collect sticks you’re old enough to do bush craft! Depending on what you require group sizes can vary, in general a group of 12 works well.